Starting April 17th, Mercury enters the sign of Aries. The planet of communication and thinking patterns transits the first zodiac sign. Let’s see how each of us will be influenced. Aries’ mind and brain are in good shape, with Mercury transiting this zodiac sign. So, don’t lose your time playing chess or bridge! Indeed, they help memory and logic, but you don’t need this, because you already have a good memory, a good logic and great analytical capacities. Instead, use these qualities to write a good article or essay. Invent a new and better product or improve your working style! You have to choose and decide what the most important task is for you. Then focus all your attention, with intensity, on this task! Mercury in Aries for Taurus – Think for Yourself! These almost three weeks, is essential for Taurus to think for himself. The mighty bull doesn’t want to think about being someone else’s puppet, no matter if we talk about a boss, his/her partner or his/her parents. Self-loving and knowing themselves very well, those born under this sign have many advantages, if they act as they think is better, not according to others ‘expectations. They attain a greater sense of accomplishment. They also gain respect from others. So, act like a lone wolf! This is the best option for you, now. 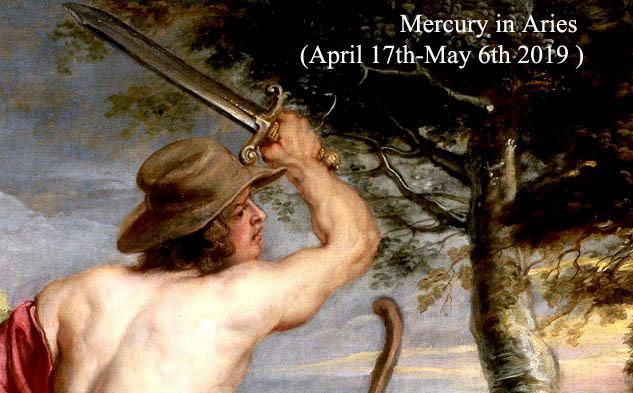 Starting April 17th, you have Mercury in the eleventh house. Your ideas are a bit unconventional, but you don’t care much about what others think. Indeed, thinking out of the box may be your key to success. You stand out from the crowd and accept that it is inevitable to make a lot of mistakes. This is not a problem. Mistakes shouldn’t discourage you. You take them as a lesson and your future triumphs will come with a lot of lessons learned. So, go on and create your own way! Starting April 17th, when Mercury enters your tenth astrological house, your career requires more communication than usual. Mercury in Aries has a tendency to abruptly express his feelings. But you must try to take your emotions out of the equation, at work. Business is business and you have to control emotions, during business negotiations or different social events. It is also important to handle conflicts with diplomacy. Maintain respect at all times – respecting other people’s view-points is important in many interpersonal relationships. With Mercury entering your ninth house, you’ll be less serious and more playful. Leo is always playful and fun to be around, finding humour in just about anything. Being naturally funny helps those natives to be more successful and to make a lot of new friends. Just remember to not push things over the limits! Don’t make jokes at the expense of people who are physically disabled or dealing with difficult experiences, like illness, divorce or career problems! From April 17th, when Mercury enters your eighth house, you are more serious than usual and you focus more on serious subjects. You speak to your partner, your close relatives or your best friend about your financial situation, about your career goals or about relationship issues. On the other hand, Mercury in the eighth house makes you good with other people’s money. You offer good financial counselling and your business ideas can bring serious profit. For Libra, it is essential to better communicate to his partner, during this transit. Mercury in the seventh house will help those born under this sign to become even better listeners than before. They stop talking for a moment, stop thinking about the things they want to say and really listen to their partner with an open mind. Place yourself in the other person’s shoes! So, you will remember more names and details. You will also remember important events your partner is talking about. He/she will notice that you are really listening. One of the many advantages of becoming a good listener is that your partner will react by paying more attention to you and by trusting you more. Scorpio needs to better organize his life. 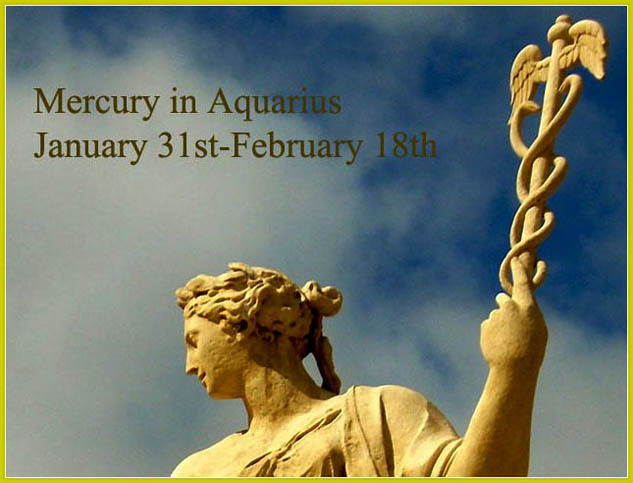 With Mercury entering the sixth house, those born under this sign make and keep schedules. They make deadlines, set goals and – the most important thing, without which all the effort is useless – they stick to them! One thing that you must do if you want to really get organized – at work as well as at home – is to keep only what you need. But possessions and material things (even the small ones) may be of great significance to Scorpio, so that it is hard for him to throw them away. But you must try – giving up the old stuff will help you to create more space, for yourself and for things you’ll buy in the future. During this transit, Sagittarius is calm and serene as a meditating monk. So, everyone appreciates him. People consider Sagittarius men and women special because, at their turn, they make people feel special. Very curious and a great adventurer, Sagittarius shows a lot of interest in people’s lives. So, people feel that what they’ve done matters, and that their thoughts are valued. So, this is a good time for Sagittarius to socialize, to make new friends, to resume contact with the old ones. Most Capricorn men and women are career oriented persons. But now they are more family-oriented. 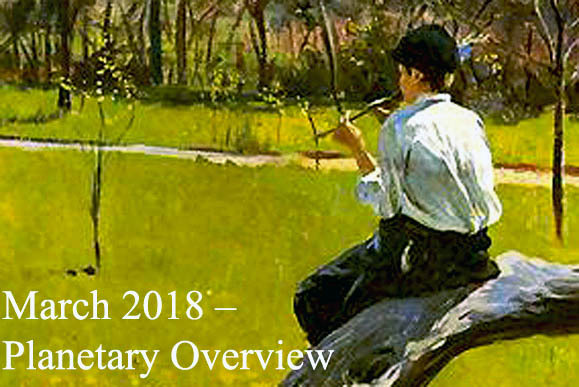 Actually, starting April 17th, with Mercury in the fourth house, there will be a lot of family-oriented activities for the Capricorn men and women. Family dinners with the spouse and the kids, a family week-end vacation become more important than before. Each family member will feel happy, because the family as a whole will be happy. Pisces spend much of their time at work. But this is not necessarily bad news, because they befriend their co-workers. With colleagues knowing you on a personal level, there is less chance for misunderstanding and you feel more comfortable. However, you should not let yourself carried away. Always remember that, even when you become friends with someone at work, you must keep things professional at all times. Elsewhere, you are too exposed, when someone you considered a friend turns out to be not such a good friend. Between May 6th and May 21st, Mercury will transit Taurus. Mercury will transit again Aries between April 11th and April 27th, 2020. 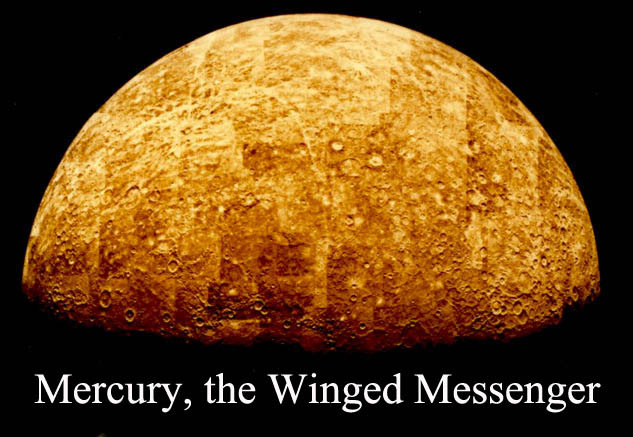 Share the post "Mercury in Aries for Each Zodiac Sign: April 17th-May 6th 2019"